R. Kadlec, R. Knight, J. Vymazal, H. Brix, P. Cooper, R. Haberl. 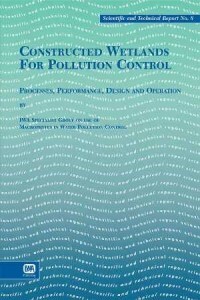 The book presents a comprehensive survey of wetland design techniques and operational experience from treatment wetlands. This book is the first global synthesis of information related to constructed treatment wetlands. Types of constructed wetlands, major design parameters, role of vegetation, hydraulic patterns, loadings, treatment efficiency, construction, operation and maintenance costs are discussed in depth. History of the use of constructed wetlands and case studies from various parts of the world are included as well. Constructed Wetlands for Pollution Control will be indispensable for wastewater treatment researchers and designers, decision makers in public authorities, wetland engineers, environmentalists and landscape ecologists.